Nicely done. 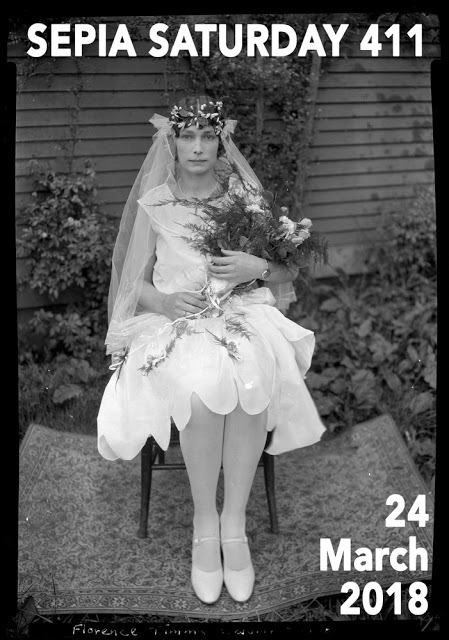 Those big bouquets of the times were certainly something, and it’s interesting how the mother’s flowers are pinned to the lowered waistline of her dress rather than worn in the usual manner of a corsage. I wonder if maybe they’re tucked into her pocket? I can’t imagine the strain on her dress of pinning that large of an arrangement there all day! An excellent match. Women’s hat fashion changed dramatically in the postwar years, going for that helmet look. 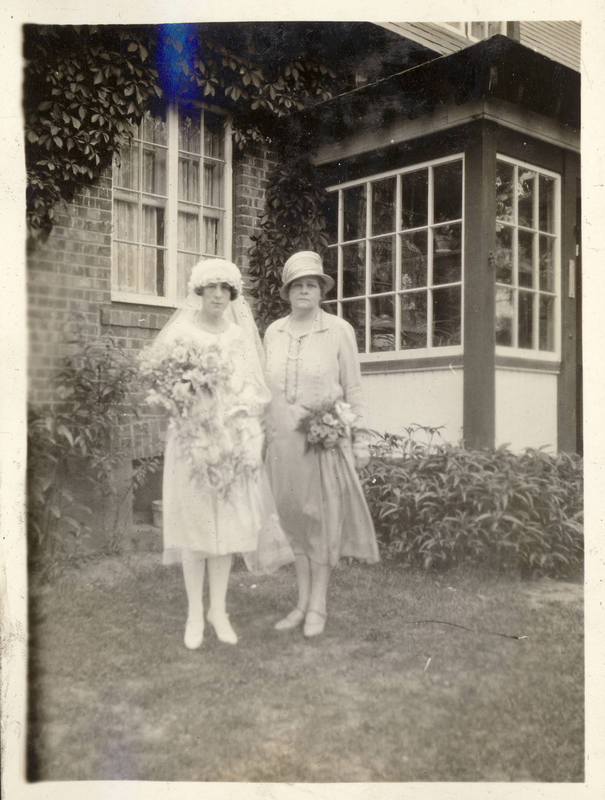 But until this week I hadn’t appreciated how brides’ cap and veil fashion also changed toward a modern style.